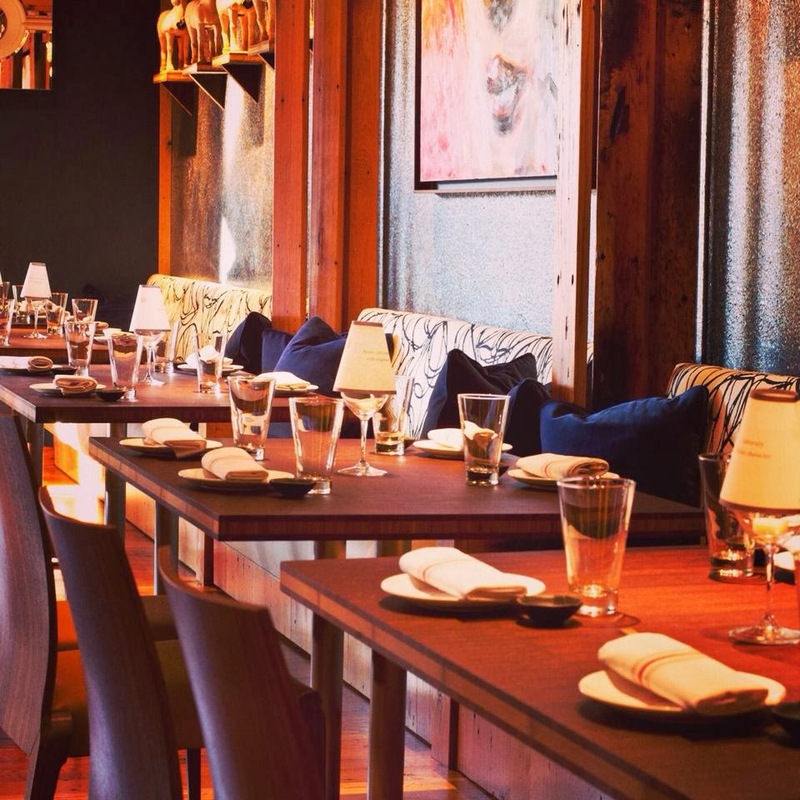 Today, OpenTable announced its list of the Top 100 Hot Spot Restaurants in America for 2014. Two Charlotte restaurants made the coveted list: 5Church in Uptown and Baku in SouthPark. 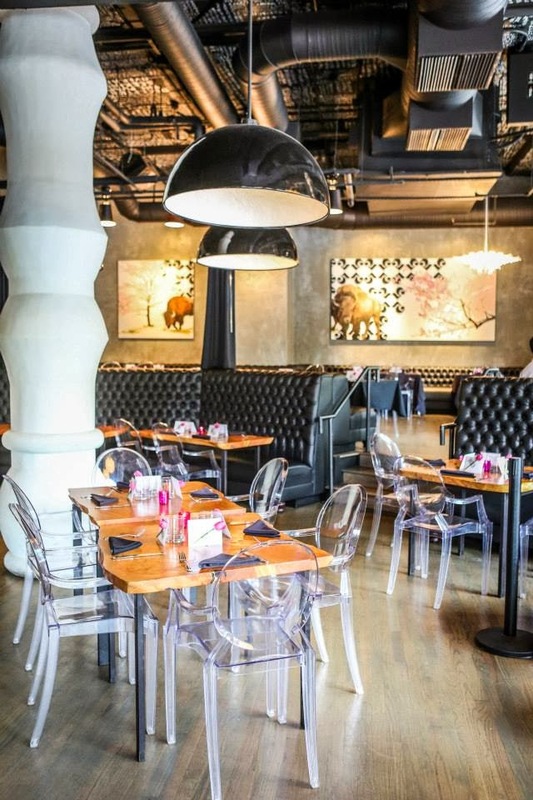 If you're plugged into the Charlotte dining scene then you likely know both of these places to be local hotspots as well as places out-of-towners are told they must visit. 5Church turns two years old in May and seems to continue to be as popular as it was during its first summer. And Baku has only been open for six months, but has become one of the go-to places in south Charlotte. 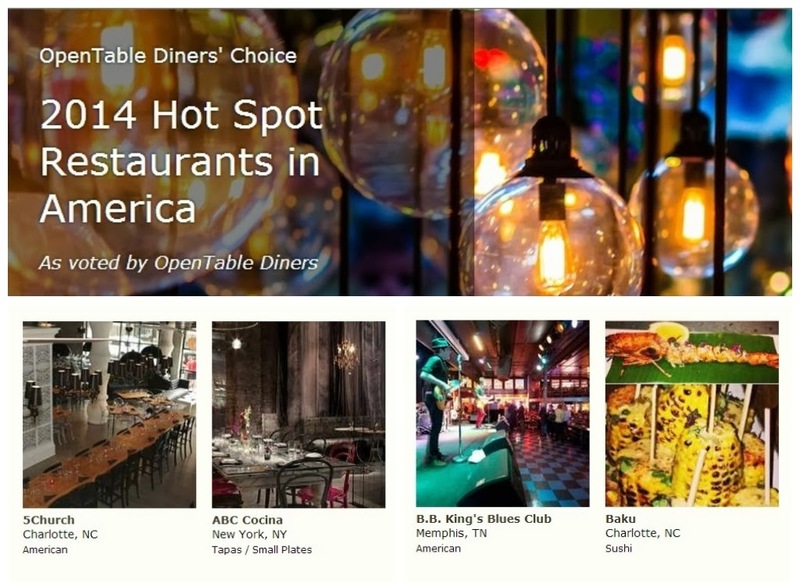 According to the press release from OpenTable: The Diners' Choice Awards for the Top 100 Hot Spot Restaurants in America are generated from more than 5 million restaurant reviews collected from verified OpenTable diners between March 1, 2013, and February 28, 2014. All restaurants with a minimum number of qualifying reviews were included for consideration. Qualifying restaurants were then sorted according to a score calculated from each restaurant's average rating in the "hot spot" category along with a minimum "overall" rating. It should be noted that these two Charlotte restaurants are the only restaurants in North Carolina to make the list. I brag all the time about how great Charlotte's dining scene has become (the nightlife scene, too). We have several top-notch restaurants that not only serve great food but also have the decor and ambiance (restaurateurs spend big bucks designing these places) that I would put up against just about any dining hot spot in NYC or L.A.
Nice article and congratulations to BAKU rising to the TOP 100 restaurants in America within the 1st year open. Check out the link below to see the full brand development of BAKU by KOVICK.